From January 2018 the Innovation Alliance for the West Midlands will come into being, with its focus and priorities strongly guided by the results of an extensive consultation on how we should build on the legacy of Birmingham Science City (BSC) when it closes at the end of 2017. Discussions were held with resourcing organizations, Working Group chairs and the BSC board, plus a questionnaire was sent to over 400 stakeholders (approx 20% response). The key findings and the resulting next steps are summarized below. Figure 1: Would you like to be involved in a new West Midlands Innovation Alliance? Work conducted by BSC has been valued by its stakeholders and aspects should be continued, but moving forward the work of the Innovation Alliance should take into account the emerging West Midlands Innovation Board (WMIB), which will take the strategic lead on innovation for the West Midlands Combined Authority. The Innovation Alliance WM should play a complimentary, bottom up role in building the innovation ecosystem and catalysing collaboration across the West Midlands. The importance of strengthening relationships with the Midlands Engine, Innovate UK and BEIS and industry groups, on behalf of the wider innovation ecosystem was highlighted, in addition to the link with the WMIB. It was suggested that the Innovation Alliance WM and the LEPs should also work closely, given the LEPs are business led organisations and the bottom-up approach of the Innovation Alliance. The work of the Innovation Alliance WM should drive forward interactions and collaborations between diverse organizations in the innovation ecosystem, including LEPs, business, innovation/ translational organizations, universities, science parks, public sector organizations, the WMCA and its agencies. The Working Groups run by BSC should be continued by the Innovation Alliance as they provide an efficient and effective means to enable people to learn, network and initiate new innovation-related initiatives. The secretariat support is vital, as is the ability to feed into activities from a broader Alliance community to coordinate engagement. 84% of those who took part in a BSC run/ co-run Working Group rated the content of the meetings as good to very good. 86% rated the networking opportunities as good to very good. 68% rated the work of the group to develop collaborative activities as good to very good. 75% rated the email updates as good to very good. As well as executive support for each Working Group, it was generally acknowledged that there was a need for a coordinating function and support that cuts across the Working Group areas. There are offers of in kind support from a number of existing stakeholders to establish the Innovation Alliance, but a priority is the development of a sustainable business plan. 70% of respondents offered in kind support to the Innovation Alliance with 15-20% offering monetary contributions including subscriptions to working groups and entry prices to events. The amount of investment brought to the region via independent brokerage model, facilitation of collaborations and bids for external funding, and knowledge of funding. Events were valued by 59% of stakeholders who responded, with feedback suggesting that all events were well organized, well considered in terms of content, and attended by individuals and organizations that were valued. The collaborative, enabling nature of the networks which brings like-minded people together. Lots of innovation topics are inherently cross sector and the Innovation Alliance can continue BSC’s tradition of bringing the right people together. 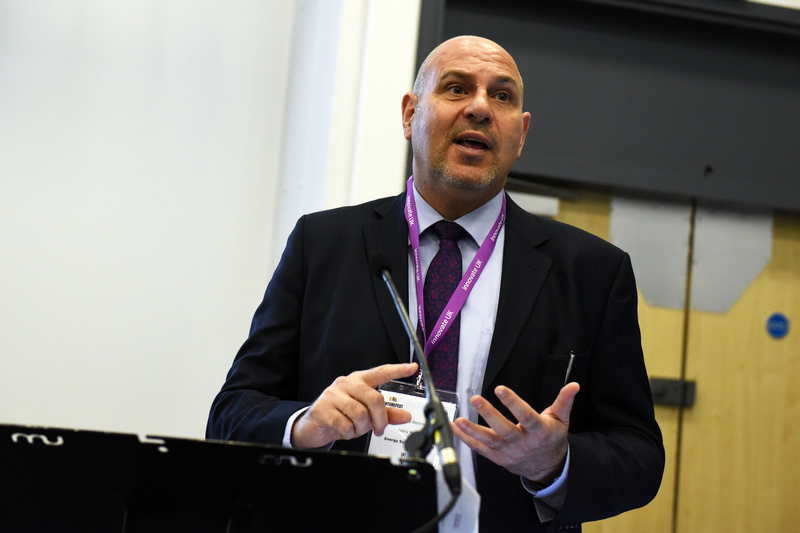 The breadth of the BSC network has been critical for success – the West Midlands needs to get more joined up in its thinking so the right collaborative partners can be found. 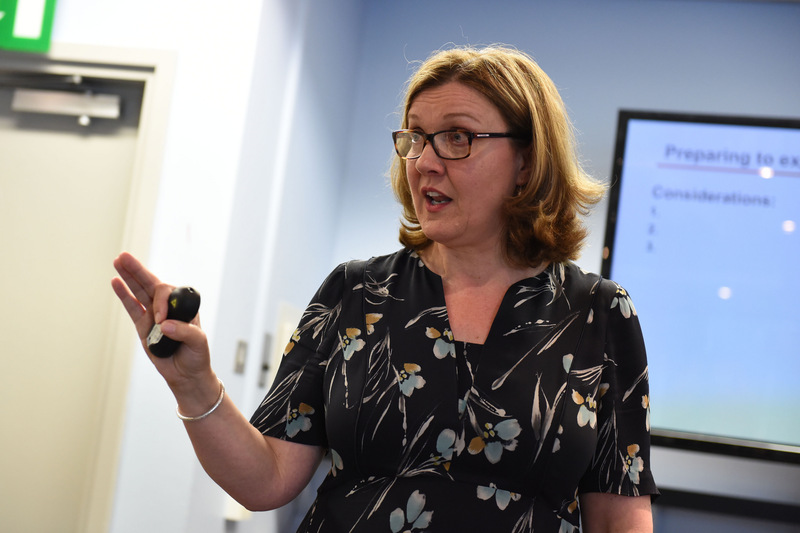 BSC leadership on the West Midlands SIA was recognised – it was able to provide the independent, distilled voice and expertise to steer the work and convene the voice of the masses. This document should now have an important role in driving the themes for discussion at the WGs. 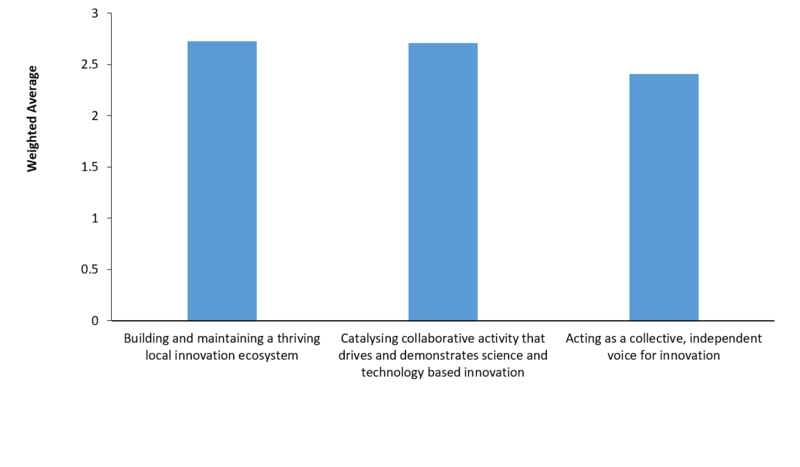 It was agreed that the first two BSC objectives, (1) building and maintaining a thriving innovation ecosystem and (2) catalysing collaborative innovation activity, are still highly relevant and should be continued by Innovation Alliance, as shown in figure 2. The third objective, acting as the independent voice of innovation, was acknowledged as having been a very important objective for BSC, when there was no other collective regional innovation body. Whilst there was still seen to be a role for Innovation Alliance in channelling the bottom-up views of the wider innovation ecosystem, this role should be adapted to take into account the role of the WMIB. Figure 2: Please rate how important each of these objectives is for the West Midlands Innovation Alliance moving forward. 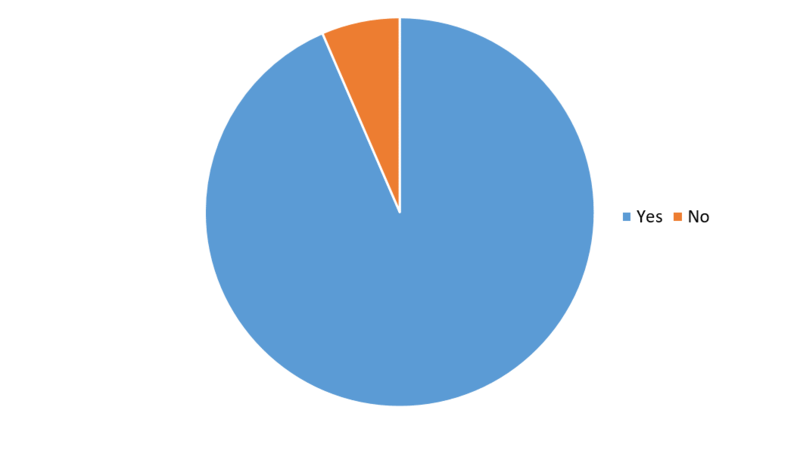 83 respondents. 0 = not at all important, 1 = slightly important, 2 = important, 3 = very important. Moving forward, stakeholder think that the Innovation Alliance WM should focus on accelerating and embedding innovation within West Midlands businesses, to boost productivity and competitiveness. Stakeholders highlighted that the West Midlands must be innovative to stay relevant and that connections between stakeholders, as catalyzed by BSC, are key to this. The BSC Board will cease to exist and a new Innovation Alliance Steering Group is being formed to help with prioritisation and planning. The thematic Working Groups will continue to exist as the core of the Innovation Alliance, and will continue to build membership to reflect the whole innovation ecosystem. They will focus discussion and catalysis of collaboration around the themes of the WM Science and Innovation Audit and the Industrial Strategy. Bring together the best of BSC’s events activity into a series of ‘Innovation Policy and Practice’ events, as well as continuing to be at the centre of driving VenturefestWM. Continue to build relationships with the Midlands Engine, LEPs and business groups and to develop identified new/ refocused priorities that support business and demand-led innovation. Build a longer term business/ sustainability plan for Innovation Alliance WM which may include a range of options such as sponsorship/ subscriptions, payment for particular tasks, charging for events, grant funding etc. For further information or to explore how you can support or benefit from the new Innovation Alliance for the West Midlands, please contact pam_waddell@blackcountryconsortium.co.uk. With the Autumn Budget and the Industrial Strategy White Paper coming out in the last few days, it’s easy to suffer from information overload. Here’s a quick summary of both, and what they mean for innovation in the West Midlands region. £250 million allocation from the Transforming Cities fund to be spent on local intra-city transport priorities. Four Grand Challenges have been set in the Industrial Strategy which aim to put the UK at the forefront of the industries of the future, highlighting the importance of demand led innovation. All four themes align to the strengths of the West Midlands highlighted in the Science and Innovation Audit. Importantly for the West Midlands, the themes published in both the Budget and Industrial Strategy reflect the enabling competencies and market strengths highlighted in the recent WM Science and Innovation Audit. This means there are great opportunities for the West Midlands ecosystem to be taken. There will be greater backing for innovators and research and development (R&D). This will include a £2.3bn investment in R&D and increasing the R&D expenditure credit to 12%. This evidences the government’s ambition to raise the level of investment in R&D to 2.4% of GDP by 2027 through public and private sector funding. Innovation will also be the focus of the Industrial Strategy Challenge Fund which comes with £725m of investment. In order to try and combat the skills and jobs required for a modern economy, a new partnership will be initiated between employers, unions and the government to deliver a new National Retraining Scheme to help people adapt to the changing world of work, beginning with a £64m investment for digital and construction training. In addition to this, £406m will be invested into maths and technical education. The National Productivity Investment Fund will be increased to £31bn, supporting investments in transport, housing and digital infrastructure. 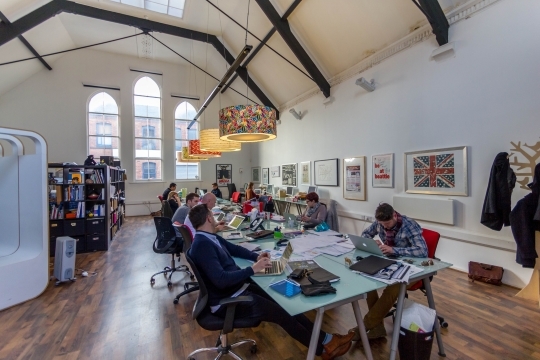 In digital technologies, £21m will be invested over the next 4 years to expand Tech City UK, creating a Tech Nation. A regional hub will be set up in Birmingham and will support regional tech companies and start-ups. To further boost digital infrastructure, over £1bn of public money will be invested, including £176m for 5G and £200m for local areas to roll out full fibre networks. In further connectivity funding, £5 million has been awarded for an initial trial to test 5G applications and deployment on roads, including maximising productivity benefits from self-driving cars. This builds on the connected and autonomous vehicle trials in the West Midlands. Sector Deals will be launched between government and industry aiming to increase sector productivity. The first themes are life sciences, construction, artificial intelligence and automotive. £20bn will be invested in innovative and high potential businesses, including a new £2.5bn Investment Fund, incubated in the British Business Bank. Additionally, a review will be launched of the actions that could be most effective in improving the productivity and growth of small and medium-sized businesses. Local Industrial Strategies will be agreed that build on local strengths and deliver on economic opportunities. A £1.7bn Transforming Cities Fund will aim to improve local transport connection with £250m awarded to the WMCA. Government will support industry by providing £34m to scale up innovative training models, including for construction, across the country, including a programme in the West Midlands. £42m will be provided to pilot a Teacher Development Premium. This will test the impact of a £1000 budget for high quality professional development for teachers working in areas that have fallen behind. 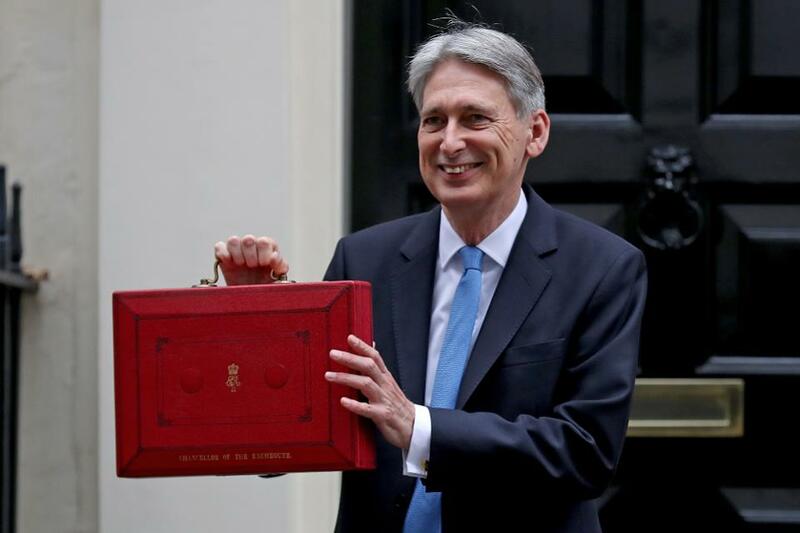 For more information on the Autumn Budget and the Industrial Strategy, please visit the gov.uk website. Energy Systems Catapult (ESC) gave one of the most highly anticipated presentations for the SMEs attending Venturefest West Midlands. The talk was presented by Tony Diciccio and Phil Lawton of the ESC, along with Gavin Shone from the Energy Innovation Centre (EIC). ESC is one of a national network of elite technology and innovation centres (Catapult Centres) set up by Innovate UK, based in central Birmingham. It aims to stimulate innovation in UK industry and bridge the gap between businesses, research and government, to accelerate the development of new technology-based products and services in the energy sector. The vision of the ESC, launched in April 2015, is to have a clean, intelligent energy system that unleashes the potential of this industry. This opportunity is realised through looking at the entire energy sector – from the generators, to the distributors, to us, the users. Current infrastructure is becoming outdated as new technologies come to the fore, with the growth of electrification, decarbonisation, and digitalisation. The new technologies could lead to a potential £46 billion positive impact on UK GDP when the energy sector is transformed. Furthermore, the increase in efficiency could achieve a saving of £27 billion. ESC does big things to meet these challenges across six different programmes, including its Future Power Systems Architecture and Smart Systems and Heat initiatives. For SMEs, ESC offers a support scheme covering three basic principles: universal assistance, collaborative working, and commercial support. This can help SMEs to innovate in energy systems whilst saving money along the way. Working with the EIC, ESC provides a list of rolling challenges to problems that SMEs can help to solve. Much of this is achieved through its dedicated EICHub – a digital platform that both the energy industry and SMEs can access. The industry can upload its problem and an SME can indicate that they have a solution to that problem in one click. It is great to observe that the ESC, working in partnership with the EIC, is ensuring that the massive potential to innovate the energy industry is being made possible at grassroots level. The ESC is also an active member of the Birmingham Science City-run Innovative Low Carbon Working Group (ILCWG) and recently hosted and presented at the latest ILCWG meeting on 21 September 2017 at its Birmingham headquarters. Many of the above initiatives were shared amongst ILCWG members. Companies must take advantage of the growing exports markets, according to the International Trade Advisor, Christine Hancock, at Venturefest West Midlands 2017. Representing the Department for International Trade (DIT), Hancock led a lively and interactive session that explained how companies of all sizes are eligible for free, impartial and confidential advice from the DIT. There is a dedicated DIT West Midlands Office to help companies to export and grow overseas. 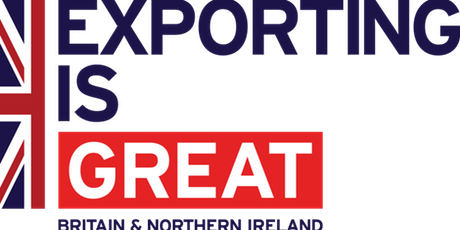 Their services, detailed at https://www.gov.uk/government/publications/ukti-teams-in-the-english-regions/ukti-west-midlands-helping-companies-export-and-grow-oversea, include masterclasses, online training, tradeshow support and guidance on international communications. Further specialist support is available in market research, export finance, IP and online sales. The export industry is increasing rapidly. More than a quarter of last year’s UK exports were by companies exporting for the first time, according to Hancock. The DIT has recently helped companies to export products in sectors as diverse as aerospace, animation, craft beers and medical technologies. There are a range of factors that business leaders must consider when they are looking to export. In considering a location to trade with, companies must weigh up differing freight costs, package requirements, language barriers, currency costs, and local culture. Although this may seem complicated and risky, Hancock explained that exporting can bring new market share, new customers, and a higher profile for companies. The DIT aims to make the transition into an exporting a company a smooth one, guiding businesses on information, research, and planning, including product and service tailoring. This is achieved through international trade advisors – such as Hancock – plus language and cultural advisers, and digital experts. As a parting gift to guests, Hancock offered the sage words of James Dyson: “In the past, the UK got away with selling things that weren’t unusual. Now, it’s no use trying to export without having something that is unusual or better”. This means that there are particular opportunities for the innovative businesses that engage with Venturefest and the Birmingham Science City Alliance. The West Midlands already records a strong exporting performance. It is the top exporting region in the UK outside of London and the South East, according to HM Revenue & Customs. Export businesses in the West Midlands grew by 12.3% in 2016, the highest of any UK region. If you want to join this growing group of exporting companies in the West Midlands, the DIT West Midlands have events and support to help you. For more information, contact wmenquiries@mobile.trade.gov.uk or 0345 222 0159, or visit the website at https://www.gov.uk/government/publications/ukti-teams-in-the-english-regions/ukti-west-midlands-helping-companies-export-and-grow-overseas. What’s invisible, impossible to remove and hated by criminals? SmartWater, of course. As arguably one the most effective innovations of modern times, it was a privilege to welcome Phil Cleary, SmartWater CEO, to provide one of the keynote speeches at Venturefest West Midlands last month. Phil engrossed the Venturefest audience with an overview of how SmartWater – which is headquartered in Telford – was founded. It is a true story of brotherly cooperation, as he and his brother Mike co-founded SmartWater in 1993. Phil, a former police officer was responsible for brand development and Mike focused on product innovation, ensuing that the product actually worked from his garage. Using a robust form of nanotechnology, SmartWater encrypts data with water as the application medium. There are potentially billions of datasets available, making a huge number of applications available. The success of SmartWater is something that all SMEs can aspire to. Phil and Mike had a great concept – but also needed knowledge, passion, funding, patience and tenacity. This led them from Mike’s garage to an internationally renowned product. Combating poachers of tusks and horns, which can now be soaked in a unique SmartWater signature. Preventing war memorials being stolen for scrap by donating a SmartWater solution to all war memorials for free and by running a memorial database. Whatever the project, the whole ethos of SmartWater is to bring accountability back to crime, making escape a lot more difficult. SmartWater is an international success story from the West Midlands – but how does a local SME aim to replicate the success that Phil and Mike have had? The advice from Phil at Venturefest was simple. “If you don’t have a marketing plan, it doesn’t matter how good your product is.” He asked the audience to imagine if the amazing solution that Mike had created had never been marketed properly – and the potential that would have been wasted. The moral to this brilliant invention is this: the combination of a great technology with a robust marketing plan paves the way to success. Along with several years spent in a garage.